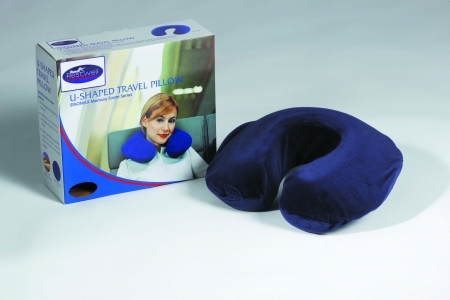 This comfortable, memory foam pillow will help you to relax when you’re travelling. Made from a dense visco-elastic material, the pillow responds to body heat and forms a perfect fit to support your head and neck. It is great for easing sore muscles or resting your neck when you’re trying to sleep on a plane, train, bus or car. You can even use it at home while you’re reading or watching TV. The pillow is lightweight, easy to pack and small enough to take with you everywhere. This memory foam pillow supports head, neck and corrects the body posture. It is handy and great for use during travel to ease sore muscles and tension.